Real-time customer feedback. Real business impact. 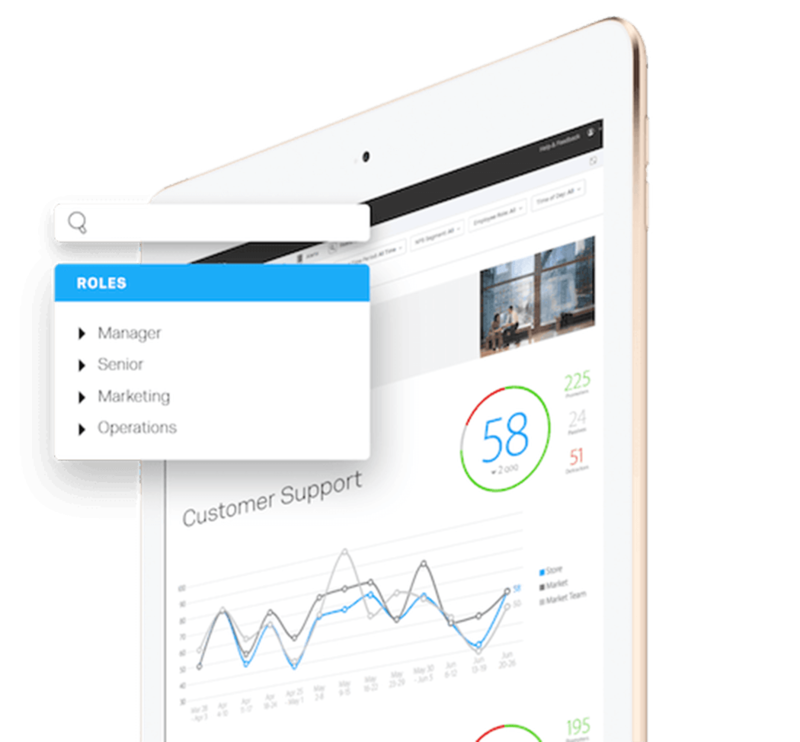 Gather, analyze and act on customer feedback with a powerful customer feedback platform designed to help you improve your customer experience. Start conversations with customers on any channel and turn their feedback into insights which help drive customer spend and loyalty. The voice of your customers. Wherever they are. Start conversations with customers on their preferred channel whether it’s your mobile apps, websites, email, SMS, chatbots and many more. With Qualtrics, you have more ways to engage your customers and gather feedback to help improve the customer experience. Customer feedback is just the start. Turn feedback into insights with predictive analytics that tell you what your customers will do next, such as whether they’re likely to churn. It gives you the tools to take action to improve the experience before it’s too late. Give everyone in the organization the power to deliver amazing experiences to your customers. By embedding customer feedback and insights into your employees’ daily routines and the tools and processes they already use, they’ll always be connected to customers and know what they need to do to improve the experience. Ready to turn customer feedback into business impact? 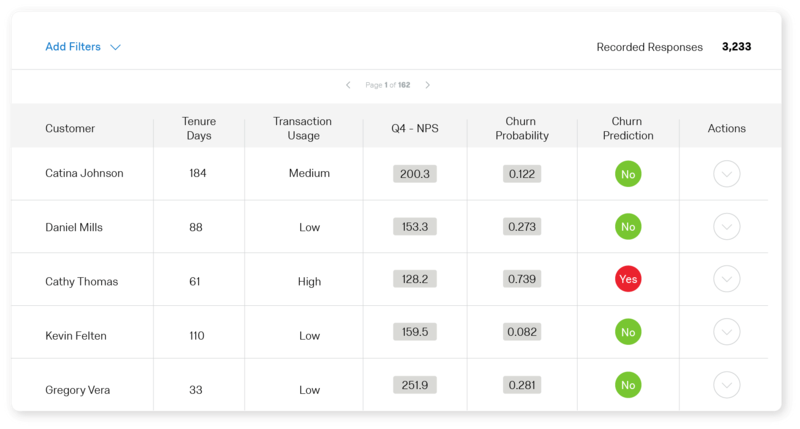 Go from feedback to insights in a few clicks – with iQ, our predictive intelligence engine, you have advanced stats, text, key driver and predictive analytics at your fingertips. It automatically chooses the right test, runs it, and shows you the results in plain language. So you’ll know exactly what to focus on to improve the customer experience. Share insights automatically with the right people in the organization. Your data is visualized on easy-to-understand charts with role-based dashboards that deliver real-time insights to the people that need them most. Now everyone has access to actionable customer intelligence. 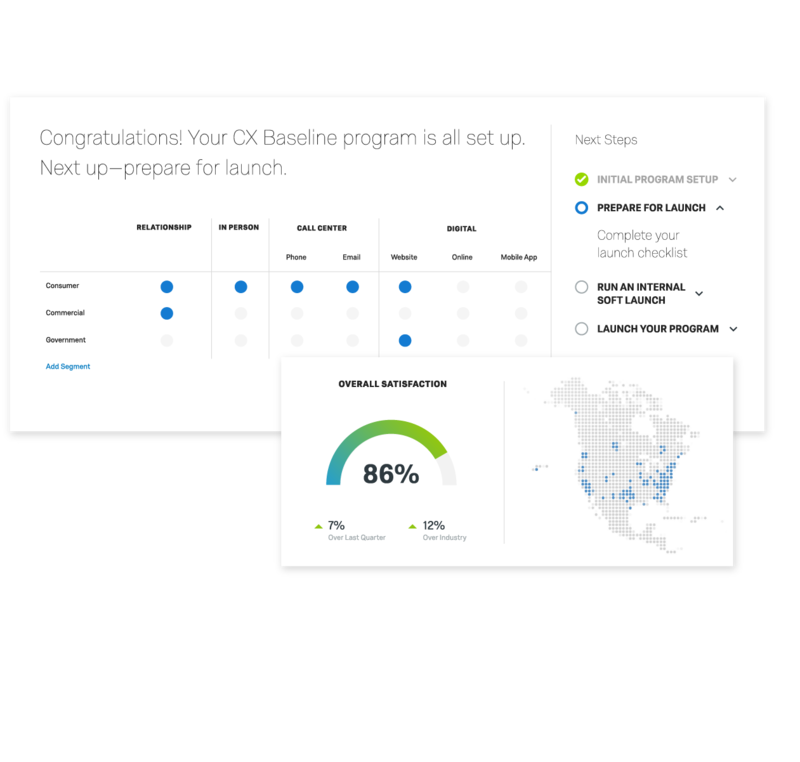 Launch a best-in-class customer feedback program in no time. With pre-built surveys for every channel and program type, you simply log in, choose your program and you’re good to go. They’re all designed by CX experts, complete with automation and workflows so you can be up and running instantly. What is customer feedback software? Customer feedback software helps you collect, measure, analyze and act on real-time customer feedback. 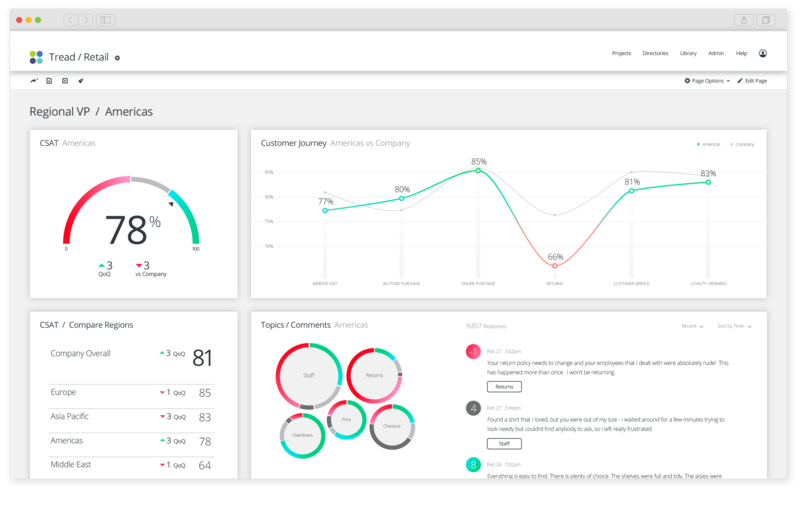 With these tools, you can measure feedback via post-transaction evaluations, periodic satisfaction surveys, and continuous satisfaction tracking, and turn your data into actionable insights that impact customer retention, loyalty and share of wallet. There are a number of different customer metrics to benchmark and monitor customer feedback, including Net Promoter Score (NPS), Customer Satisfaction (CSAT), and Customer Effort Score (CES).